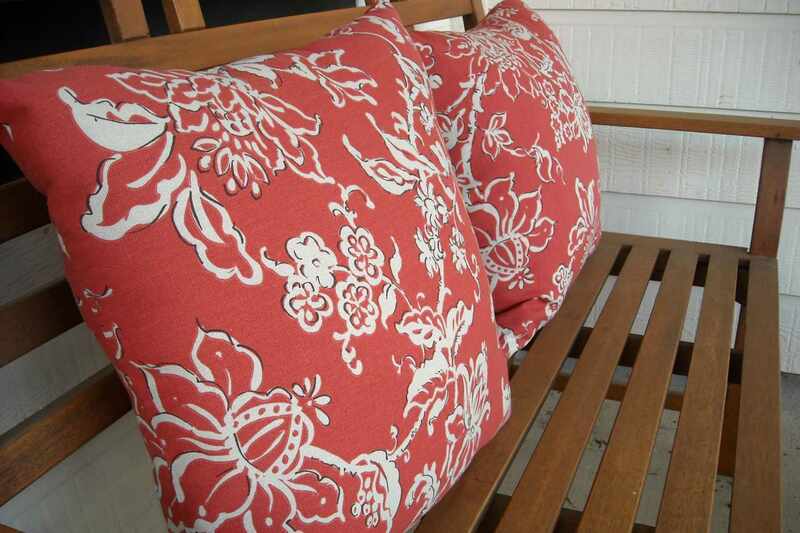 Whether you're looking for outdoor fabric to reupholster patio furniture or simply want to make an easy, no-sew patio pillow, the project will require material made specifically for outdoor use. Before you naively order something online or pick up a bolt of material that's love at first sight, you need to get smart, do some research, and figure out what you really need. Imagine shopping for and making a set of finely upholstered cushions, pads, and pillows for your garden set, only to watch it fade and fall apart in a matter of months. Yes—that can happen if you select the wrong type of fabric. Follow these tips for choosing the right outdoor fabric for a do-it-yourself project. Be realistic about your sewing or upholstery-making skills before starting this project. If you have some sewing skills and select a pattern marked "simple" or "easy", can follow instructions, have patience and determination, then it's feasible to make new cushions, pads or pillows for your patio furniture. Other options: consider vinyl or oilcloth, which is often used for retro-style tablecloths and tote bags. If you want to get creative, you can try recycled materials, but there is no guarantee it will be easy to work with or how long it will hold up. However, if you can come up with something that is repurposed or recycled, you should be commended for creativity and eco-mindedness. Woven acrylic fabrics are more fade resistant than printed acrylic or polyester print fabrics. To give a fabric its color, fibers are woven into yarns that are then dyed and woven into the fabric. With this type of fabric, the dying occurs before the yarn is made. Liquid acrylic and color are mixed and formed into fibers. Then, the colored fibers are spun into a yarn already permeated with color. The fabric is made to be colorfast after exposure to the elements, along with ordinary wear and tear. Solution-dyed acrylic is usually soft, breathable, water resistant and dries quickly. Acrylic should not allow growth of mold. It should not be dry cleaned, nor should it be tumbled through a clothes dryer. Polyester or acrylic fabric is screen printed with fade- and weather- resistant dyes. In addition, a water repellant guard is factory-applied in the final stage to add protection to the fabric. Both synthetics are strong, durable, and resistant to wrinkling, fading, shrinking, mold, and mildew. Is the fabric water repellant or waterproof? Outdoor fabrics are made with a protective coating, which should make the cushion or pillow repel or resist water, moisture, mold, and mildew. Most outdoor fabrics are water repellent, which means a finish has been applied to the fabric. The more you use or clean the fabric, the more its fibers will break down—that's just normal and natural wear or use. Eventually, it will need to be replaced. Metal-framed vintage and reproduction outdoor chairs with thin, tubular cording or wider strapping in a variety of colors are popular and unique; they fit in quite well with Midcentury modern homes and furnishings. Sure, you can pay to have them re-strapped or woven, but you can also do it yourself. Patterns for wrapping are pretty straightforward or you can follow online or video instructions. The good thing about ordering replacement cording is that there's a broad selection of colors. Since 1969, fabrics have displayed a cleanability code. 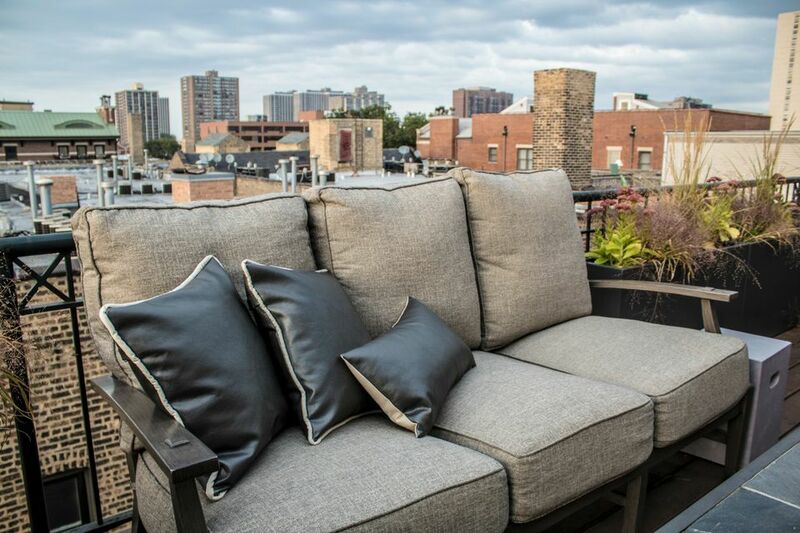 Some outdoor fabrics are made with Microban, which protects the fibers and helps prevent the growth of stain- and odor-causing bacteria, along with mold and mildew. Warning: mildew can grow on soils or spills that are not quickly treated or removed. Synthetic fabrics like acrylic and polyester should not be dry cleaned or tumbled dry, as fibers can break down the protective finish. Brush off dirt and debris from the fabric. Spot clean with a solution of ¼-cup of bleach-free detergent dissolved in 1 gallon of warm water. Apply the solution to the surface, allow to soak in, and gently scrub stains with a soft brush or sponge. Rinse with clean water and let the fabric air dry. Repeat if necessary. Keep in mind that, over time, most fabrics will fade with constant exposure to sunlight. Think about colors and patterns when choosing an outdoor fabric: black, navy blue or other dark colors fade fast, as do bright and vibrant colors. While outdoor fabric is made to withstand fading, cover or store it away from the intense rays of the sun. Just like a person can get a sunburn on a cloudy day, cushions and pillows are susceptible to fading even when the sun doesn't shine. Picture a seat cushion on a boat—sailboat or yacht—the image is your own. But that cushion and fabric must withstand sun, wind, saltwater, and whatever else comes at it—maybe a Titanic-sinking iceberg, a sloshed glass of red wine, or George Clooney and The Perfect Storm. Lots of wear and tear. Hence, the invention of marine-grade fabrics. Made with a tighter weave and a heavier finishing process than most outdoor fabrics, marine-grade fabric is stiffer and built to endure rough weather and conditions. It's the perfect material for boat upholstery, canopies, and outdoor covers.